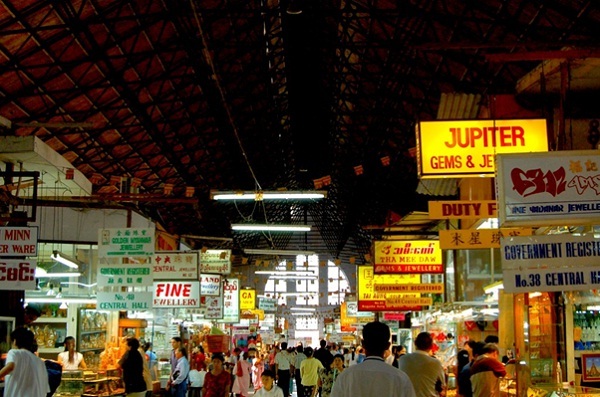 Local markets are the suitable place for the budget minded to find the best bargains. When buying at these markets or from street vendors, bargaining is expected. But bear in mind that for tourists starting prices will be much higher. 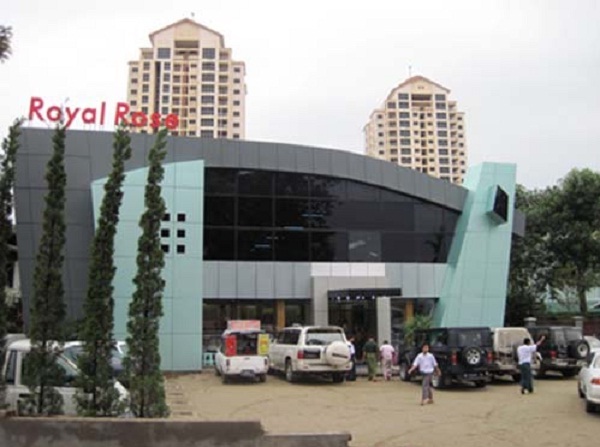 Situated at the corner of Pyay Road and Thiri Road, Thiri Condominium, Mayangone Township, Ocean Super Center Yangon is the most perfect place to visit in Yangon for a one-stop shopping experience. Shoppers coming to the Ocean Super Centre will be provided with the largest number of products. 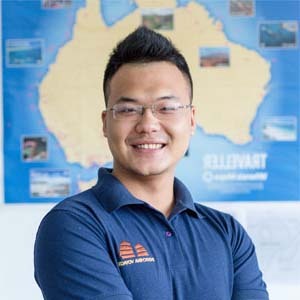 Laptops and computers; fashion wear and accessories, electrical appliances, household utensils, furniture, toys and sporting equipment are some items purchased here. In the food court in the center, you can find a wide range of cafés and restaurants offer a wide selection of stunning foods ranging from Asian to Western dishes. As you know, without accessories an outfit would not be perfect, it is necessary to pay a visit to Royal Rose. Found on Inya Yeik Thar Street, to the east of Inya Lake, when it comes to handbags and sandals, this store is known as the ultimate place. Beautifully crafted women’s slippers are one of its best sellers. The loyal patrons of this establishment are foreign residents. 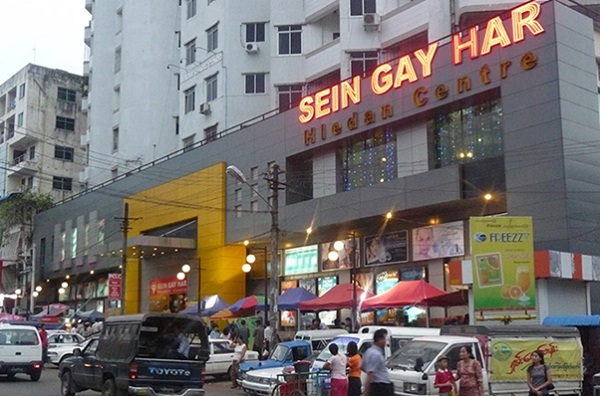 Located opposite Taw Win Center, at No 44 Pyay Road, Dagon Township Sein Gay, which opens from 09:00 to 21:30, is a place where you can find shops selling stationary, mobile phones, cosmetics, clothes, electronic goods and shoes. 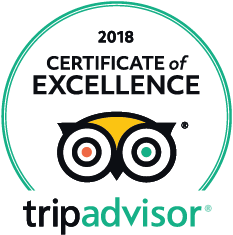 In this center, you can also find an ice cream shop, some fried chicken shops, a Burger Star, a supermarket, an excellent food court, a Donut King, and a stunning liquor section. In this center, there is somewhat the same as Taw Win Center, but a little older at much cheaper prices. In Burma, everywhere you look, you can see people use colorful umbrellas to prevent themselves from the sun or the rain, meaning that umbrellas are ubiquitous in this country. These umbrellas also keep cultural and religious meaning – the ornamented finial on pagodas is known as Htee (Umbrella) and in the historic, the umbrella played an important role of royal regalia. 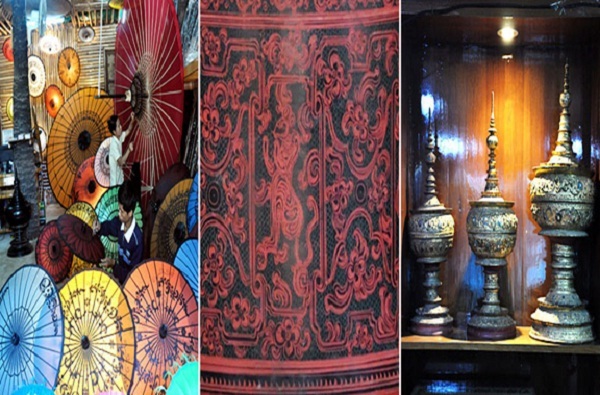 If you want to get a beautifully decorated, traditional handmade Pathein parasol, this shop is the ideal place. Even though not being a first-class shopping spot, Yangon does provide visitors with many stunning shopping opportunities. Lacquerware, jewelry, clothes, textiles, silverware, and handicrafts are the most interesting products for sale here. Rubies, sapphires and jade are some luxury gem production making Myanmar well-known, and in Yangon, travelers can find many gem & jewelry shops. 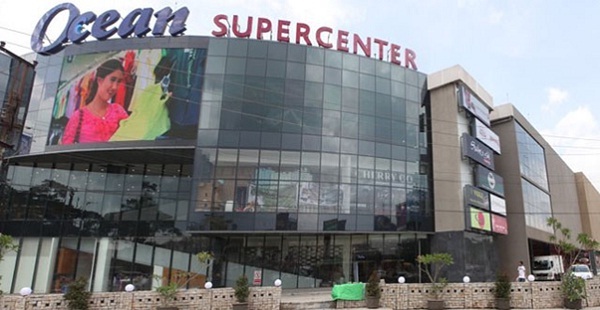 Among them, Ocean Super Center, Bogyoke Aung San Market, Royal Rose, Sein Gay Har Super Center and Myanmar Traditional Manufacturing Company are well worth paying a visit to.